The Municipal Office d’Habitation de l’Outaouais’ (formerly Gatineau) call for tender to build 30 units in Old Deschênes is scheduled to close on December 11. 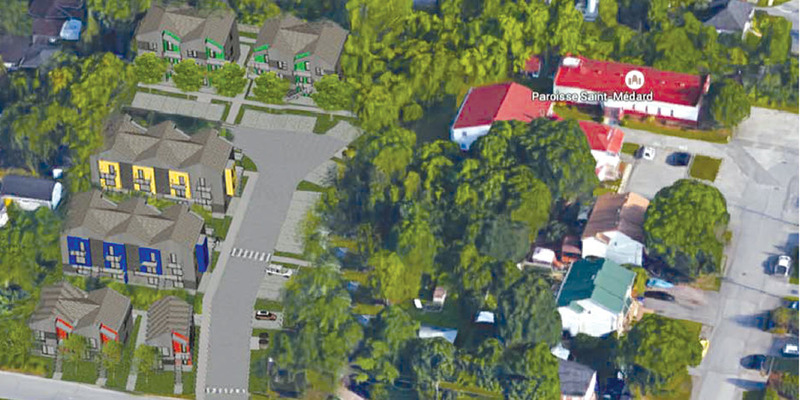 The long-awaited community housing project is planned on Deschênes Street between Arthur-Whelan and Saint-Médard Streets. predicted the units would be ready for 2018. Construction should now begin in spring, 2019. OMH plans to erect six buildings that will contain 18 two-bedroom units, six three-bedrooms units, four four-bedroom units, and two five-bedroom units -- a total of 30 units, 15 of which will be affordable housing units and the other 15 subsidized for low-income residents. The project should house about 90 residents. The project, designed by the architect firm Mercier Pfalzgraf, will have 33 parking spaces, plus an ecological corridor on the east side of the units.